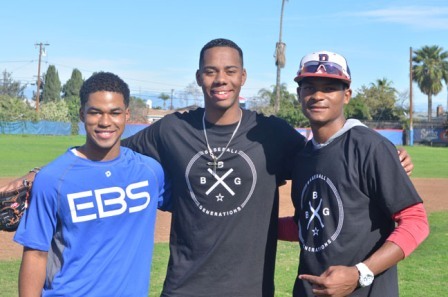 The Inglewood baseball fund brought together professional and youth baseball players at the first annual Community Baseball Festival on January 8 at Junipero Serra High School in Gardena. The festival celebrates the 10-year anniversary of the L.A. Rockstars travel baseball team, a program for youth below high school age. In the past, the L.A. Rockstars has traveled to several places including Las Vegas, New York, and Arizona; the team plays in several tournaments and leagues. Hall of Famer and 12-time MLB All Star Dave Winfield was honored at the event for his long-time support of the Rockstars. “His participation carries a tremendous amount of weight,” said Erikk Aldridge, the founder of the travel ball team and the executive director of the Inglewood baseball fund. The L.A. Rockstars tout a talent-riddled class of alumni. Among them is high school baseball phenom Hunter Greene, a UCLA commit with the option of a high pick in the 2017 MLB Draft. 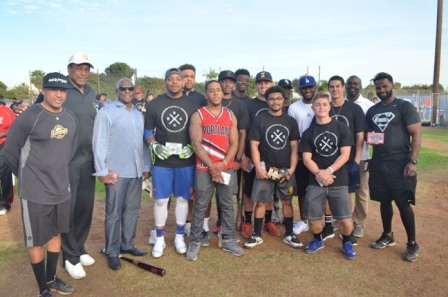 “We’re helping the kids in the inner cities get exposure to the great game of baseball,” Greene said. The festival featured clinics for children and a panel for parents. The lineup from the 2013 Serra Cavaliers baseball team were honored for bringing the school its first southern section championship in baseball. Aston Edior noted his experience with the L.A. Rockstars to the Sothern title win. Dominic Smith was also a member of the division III Southern Section Championship squad. Smith won the 2015 Florida State League Player of the Year award. The panel for parents discussed the process for prepping a young athlete for college. Motivational speaker and author Ramsey Jay Jr was the moderator. 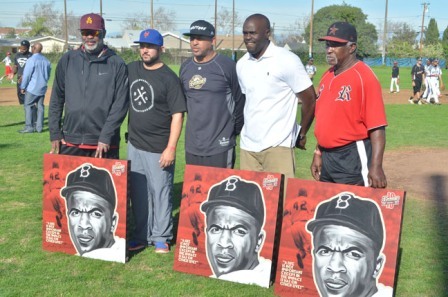 The Inglewood Baseball Fund awarded coaches Carl Nichols, Jason McLaughlin, Kevin Martin, and the late Calvin Young with the annual Coaching Impact award. Alan Llorens, Russell Greene, and Michael McKinnon also won the Community Impact award.